This old blue boat sits way toward the back of the bay at Morro Bay California. I have no idea who it belongs to but I call it Poopdeck Pappy's boat just because of it's character. It is a very serene place usually and this morning was no exception. 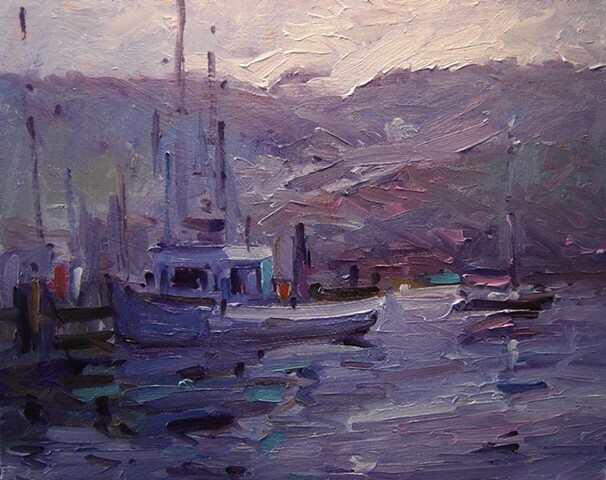 The cool colors used in this painting convey that casual calm atmosphere that typifies Morro Bay.